I was wondering if anyone could direct me on how to make a Concealed Weapons purse. I had ordered The Guardian pattern, but it was too many pieces and too confusing for me. I've checked youtube and can't seem to find anything. If anyone has made one and would like to share their knowledge, I would greatly appreciate it. Thanks. perhaps that lady who won $500million plus in your town would like to invest in such a project! Looking at the pictures of concealed weapons purses, I'd say you might be better off buying one. I decided to make a copy of a Vera Bradley purse and realized it's worth paying Vera Bradley prices. It's difficult and the fabric costs also. Plus your time is valuable. She probably already has people bugging her night and day for handouts. And relatives who she never knew she had hounding her for money. Let her be in peace. I agree I bet people are lined up to her door. Some long lost relatives and people whom they say are her friend just to get her money. So you are right leave her be . This is a bag that I designed and jokingly referred to as a concealed carry bag. The pocket on the front goes all the way across and can be accessed from either side. I use it for my keys. What a lovely purse Patty. You did a very nice job on it. Sarah, did you try searching the old posts here? I know that was discussed at some length and as I recall several patterns or links were shared. GOod luck and if you find a good one please share it with me! I found a pattern for a quilted concealed weapons purse at this site: http://patternpile.com/sewing-patter...ndbag-pattern/. Don't know if this is what you are looking for but hope this helps. Well, Kat of StudioKat Designs, who designed the Guardian purse pattern, has pictures of some of the steps in the making of the purse. I just finished sewing her Baggalista purse, and I found the extra pictures of the steps very helpful. Here is the page on which you can find photos of steps in the sewing of the Guardian purse. http://www.studiokatdesigns.com/products/guardian If you have questions, go directly to the source. Kat is very quick to respond to emails, and she will answer any question you have. It might be helpful to have your own photos to send to her so that she can identify the problem. She spends many hours in designing her purses. So, don't give up on the Guardian, don't try to find other patterns. Work with what you have. These StudioKat purses are wonderfully designed, and Kat is wonderful in helping you along the way. When I took my conceal / carry training the instructor (a SWAT team ladder) advised against using a conceal/carry purse. He said if someone snatches your purse, you have just armed a criminal. He suggested a shoulder harness that goes under your clothes or a conceal/carry fanny pack . I bought the fanny pack from a local holster maker and with one zipper pull, the handle of the gun is ready to grab. It was around $25. Maybe Abi's Nina is that lady! When I have something thats looks to complicated I have found if I take 1 step and focus on that. The whole thing looks to much, but 1 step I can handle. Dont look at the whole picture. I am sure if you try it , you can handle it. My husband is a retired police chief and he said the exact same thing. Wear a shoulder harness or the holster fanny pack. Also, make sure you carry your concealed weapons permit with you. Go to her web site and she has tutorials for each step of the pattern. I have the pattern but have not tackled the pattern yet. Soon though. Will let you know if I manage to finish it. LOL!!!! Very cute bag and really lovely fabric. That is real cute. Hope you find a pattern from this thread. Studio Cats Design has a pattern for one. She is on facebook and I think you can google her website or if you have facebook https://www.facebook.com/pages/Studi...s/125300959908 will get you there. 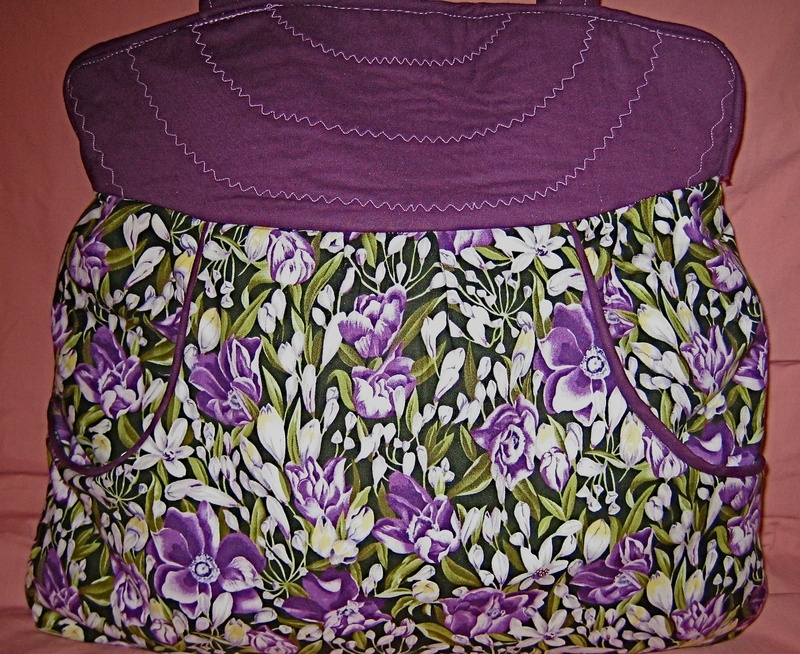 She has a beautiful selection of purses, kits, patterns, etc. I am the sew n sew my Mother made. Great Sharon, thanks a lot.